At North South Travel we are a proud member of Virtuoso which is the travel industry’s leading luxury network. Our Virtuoso advisors specialize in helping to create travel itineraries you can’t find online or plan yourself. Virtuoso partners specialize in offering world-class customer service and experiences for our clients. 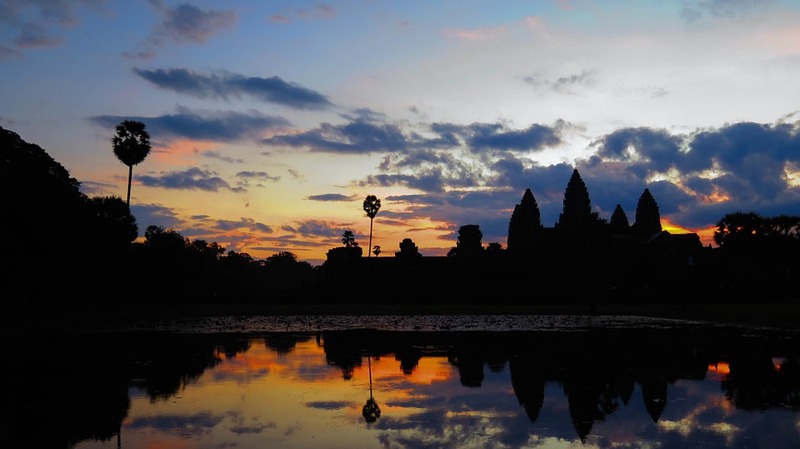 Together we can offer our clients unprecedented value and incredible travel experiences! Everyone is so busy with their lives these days that a vacation with your family can be a wonderful way to reconnect and bond. Instead of just heading up to the same old cottage why not take a family cruise or rent a large family suite somewhere tropical. The travel industry is definitely starting to cater to larger family groups with river cruises offering more adjoining rooms, expeditions offering more family friendly itineraries, hotels offering separate family style bungalows, and so much more! 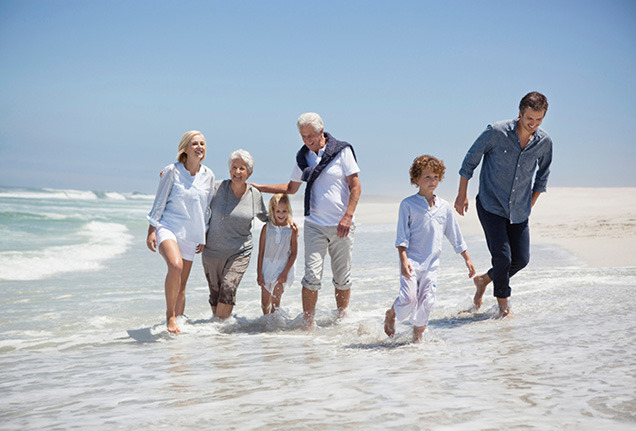 For more inspiration for Multi-Generation Travel check out our selection of experiences here. It's the ultimate tropical fantasy realized: idyllic lagoons, coral reefs, and Instagram-ready bungalows perched above it all. French Polynesia is 118 geographically-dispersed islands in the South Pacific; the area stretches over 1,245 miles. You're probably most familiar with Tahiti or Bora Bora, but Mo'orea and Raiatea are also charmers. With so many hotels to choose from why not pic from the best! 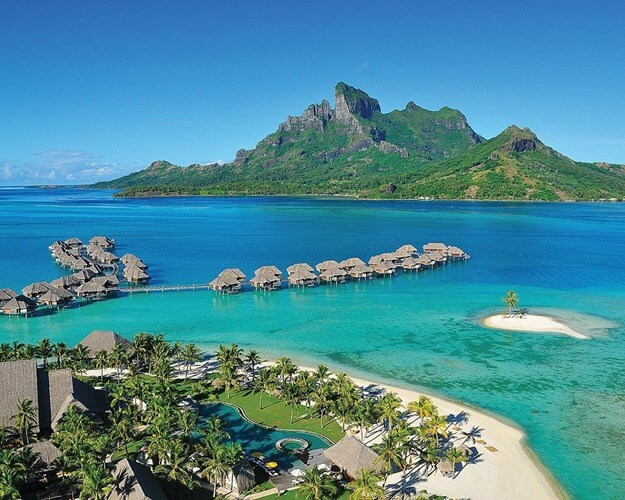 Our Virtuoso partner hotels include the St. Regis Bora Bora, the InterContinental Moorea Resort & Spa, the Four Seasons Resort Bora Bora, the Le Taha's Island Resort & Spa and The Brando. Which one will you choose? The Amalfi coast is the perfect place to experience some of the best views and food that Italy has to offer. The most exhilarating way to get up close with this beautiful region of is to rent a car and road-trip it! Your travel advisor can even help map out a custom adventure!! You'll want to start your road-trip in Naples where you can easily pick up a rental car to head south in. Some highlights of an Amalfi Coast road-trip include Positano, Conca dei Marini, Praiano, Amalfi, Ravello, Maiori, Viertri sul Mare and Selerno. There is no better place to experience la dolce vita!! 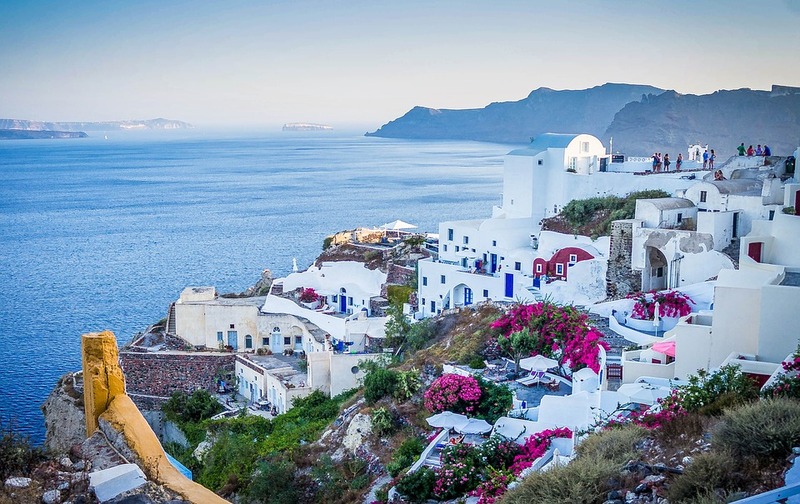 The Greek Isle are definitely something to include on your bucket list. With so much variety amongst the various islands, you are sure to find one that is perfect for you! If you are looking for easy access to a lively party scene then check out Mykonos. If you are looking for the ultimate romantic getaway then Santorini with its white washed cliffs and stunning sunsets. If you brought the family why not treat them to an amazing day trip to the island of Hydra where there are no cars and just beautiful views to discover. Other popular islands include Cofu, Rhodes, Paros, Naxos, and Ios. This one is for the wildlife lovers! Every safari results in an overwhelming amount of photo ops so that even the most novice of photographers will return home with frame-worthy shots. To see elephants check out South Africa's Kruger National Park where you can catch them hanging out year-round. To see lions check out Kenya's Masai Mara National Reserve in late June to catch the wildebeest migration. To see cape buffalo check out Tanzania's Serengeti National Park where the best way to spot them year-round is via bush plane. To see leopards check out Botswana's Okavango Delta or South Africa's Sabi Sand Reserve during May-October. To see the endangered black Rhinos check out Zimbabwe's Matusadona National Park during June-October. For more inspiration check out our safari section here. What exactly are the Northern Lights? The aura borealis' bright dancing lights are actually collisions between electrically charged particles from the sun. As these solar flares head toward Earth, our magnetic fields divert them and they react with our atmosphere's gases, creating auroral ovals around the top and bottom of the planet. The best time to see them is in late August through till March in northern latitudes near the Arctic Circle and north pole, on a cloudless, new-moon night. The best countries to visit to see this beautiful phenomenon include Northern Canada, Northern Sweden, Northern Finland, Northern Norway, Iceland and Scotland. 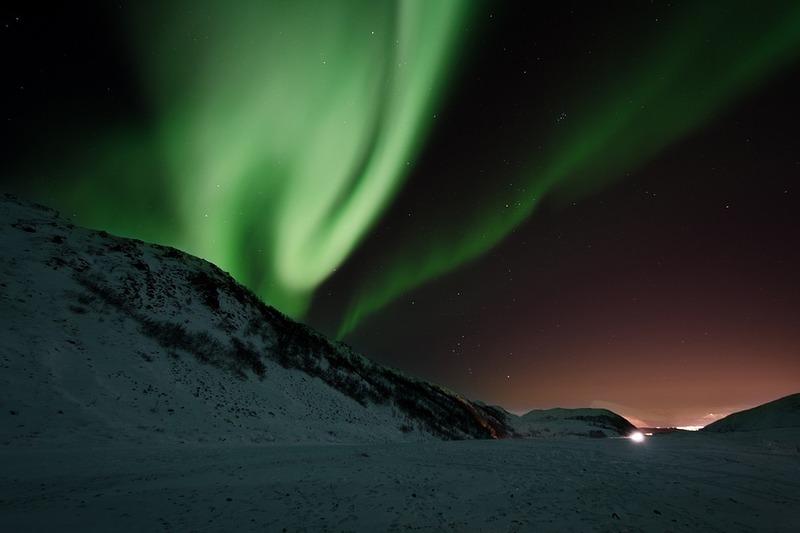 We currently have a great experience to see the Northern Lights from the air in Northern Canada! Click here to find out more! Those who wish to follow in Darwin's footsteps will find themselves in one-on-one interactions with wildlife in the Galapagos. Travelling to the Galapagos islands will give you a greater sense of nature than anywhere else in the world. 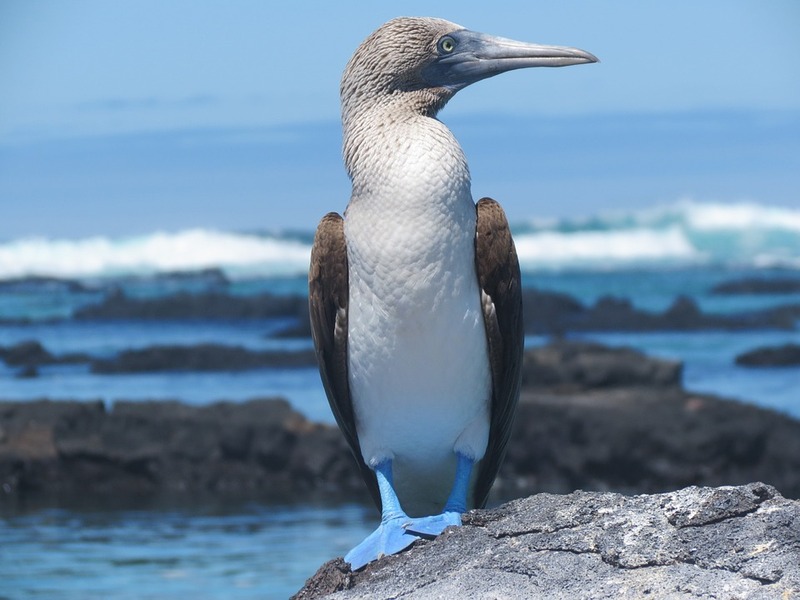 The Galapagos Islands are home to some of the highest levels of endemism (species found nowhere else on earth) than anywhere else on the planet. Most reach the archipelago off Ecuador's coast by ship, but a new high-end ecolodge on Santa Cruz Island lets travellers trade staterooms for contemporary sleeping spaces with floor-to-ceiling windows and private terraces and balconies. Pikaia Lodge welcomes guests for 4 or 8 night stays that include guided hikes, snorkelling, diving day trips on their private yacht and tours of the on-site giant tortoise reserve. With more ships offering round-the-world itineraries, you will have plenty of choice when it comes to seeing the world from the comfort of your own room. Our favourite round-the-world cruise lines include Oceania, Cunard, Silversea, Crystal and Regent Seven Seas. When embarking on such a long voyage it is good to bring things to make your floating suite feel a bit more like home like wall art and your own blanket. Keep in mind that you don't need to pack for the whole voyage, break it down to several weeks and take advantage of the onboard laundry services. Check in with one of our Cruise Specialists to find the itinerary that is perfect for you! Click here to visit our cruise page! To set foot on every continent in one whirlwind journey is an ambitious quest, but it doesn't have to be and an all-out Amazing Race-style sprint. An ideal course of action: work with your Travel Advisor to craft a custom itinerary that fits your schedule, pacing, and destination wish list. You could also book Abercrombie & Kent's around-the-worl private jet tour, a six-continent, 26-day jaunt from Miami to Monaco that includes stops in Peru, Bali, Kenya, and more. Don't forget Antarctica, you can include an expedition cruise from South America at any point during your round-the-world itinerary. Another way to chart your course around the world would be to visit the 7 man made and natural wonders of the world as you go! The world's your oyster!! 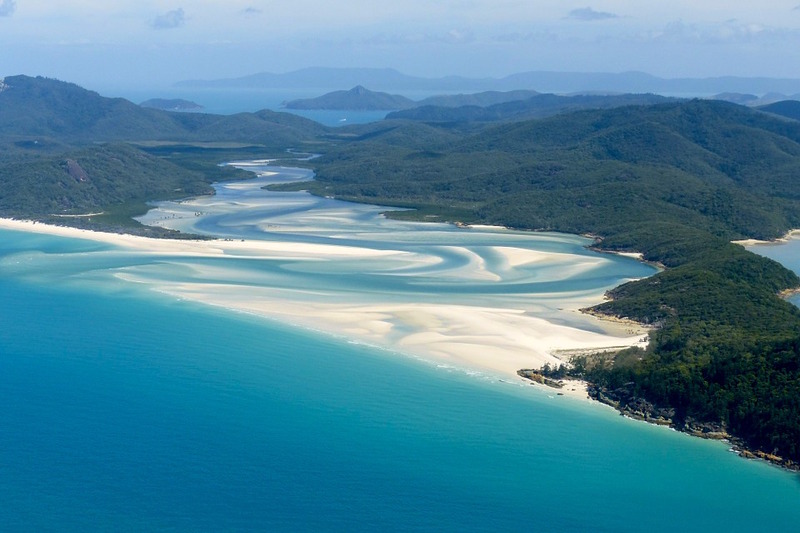 With so much to see and do, it is no surprise that Australia makes the list! From the gorgeous scenery of Tasmania to the iconic Sydney Opera House to the magic of Uluru to the wonder of the Great Barrier Reef, Australia really does have it all!! Have you always wanted to cuddle a koala? How about surf the legendary waves at Bondi Beach? Or check out the largest sand island in the world? From Whitehaven to Perth there is just so much of Australia to discover!! If any of these bucket-list experiences have inspired you then contact one of our Travel Specialists today at 604-736-7447 (Toll-free: 1-800-665-1882) or select the 'contact us' button to send us a message via our website to start planning! Our advisors can maximize the value of any trip through our connections and knowledge. And despite what misconceptions you may have about working with a travel advisor, we will often end up saving you money, not to mention the extra perks we can secure for your trip!